"The common man, if he has no time to worship the Lord, may at least engage his hands for a few seconds in washing or sweeping the Lord's temple. 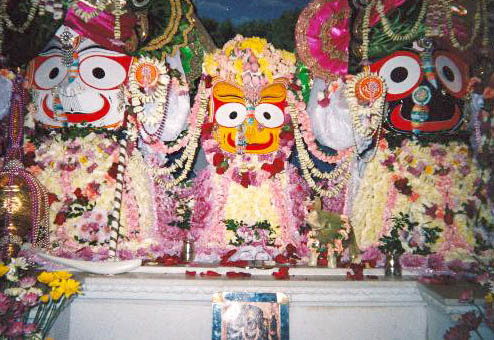 Maharaja Prataparudra, the greatly powerful king of Orissa, was always very busy with heavy state responsibilities, yet he made it a point to sweep the temple of Lord Jagannatha at Puri once a year during the festival of the Lord. The idea is that however important a man one may be he must accept the supremacy of the Supreme Lord. This God consciousness will help a man even in his material prosperity."